Iron Range. Chances are, if you're interested in any sort of animal in Australia, be it birds, frogs, reptiles, mammals, butterflies... you've heard of Iron Range. It's a sort of Mecca for Australian naturalists. It's home to the weird and the wonderful: in particular relatively recent immigrants to Australia from North of the continent, things that are restricted to just a tiny area (Iron and McIlwraith ranges, generally) of the continent - and there are an impressive number of these things. 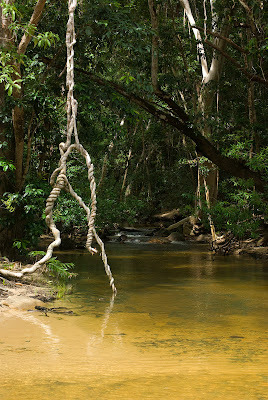 Though it's a relatively small park, it contains the largest expanse of lowland rainforest in Australia. What was more surprising to me as I entered the park from the west was the heath - yep, genuine heath - not what I was expecting. If it wasn't for the strange sight of termite mounds emerging from the stunted vegetation, I could almost have been somewhere around Sydney. Soon after leaving the heath I was in the aforementioned tall rainforest. Bizzarre. 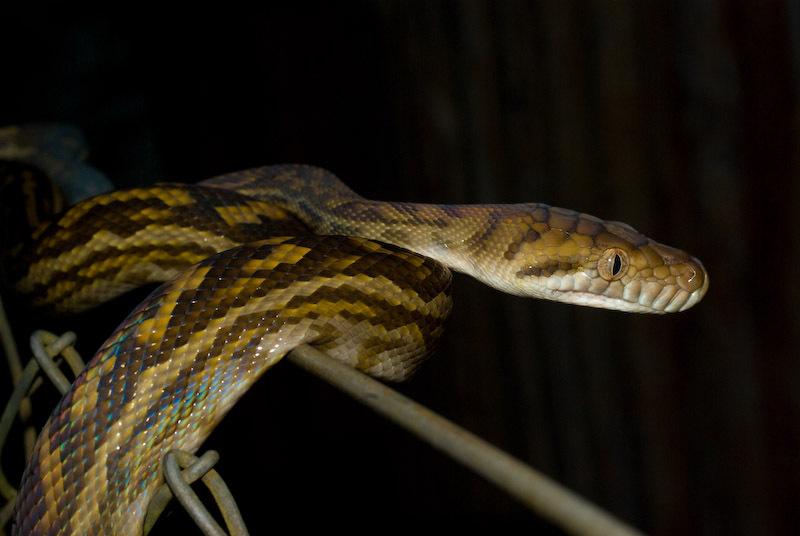 I was to spend six nights in this rainforest and have the luck to spot and get to know a heap of amazing animals. 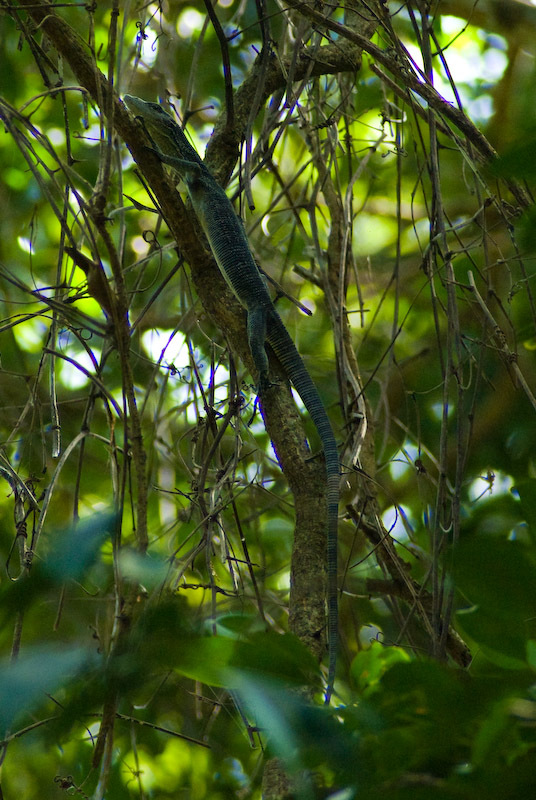 After a short drive through the rainforest I spotted the first of these 'Iron Range Species' that I've mentioned - the Canopy Monitor, Varanus keithhornei. Impressively slender with a long, prehensile tail, this monitor species spends much of its time in the tops of trees and I was granted a display of its agility as it climbed from the treetrunk where I spotted it, up a liana and into the thin branches of the canopy. 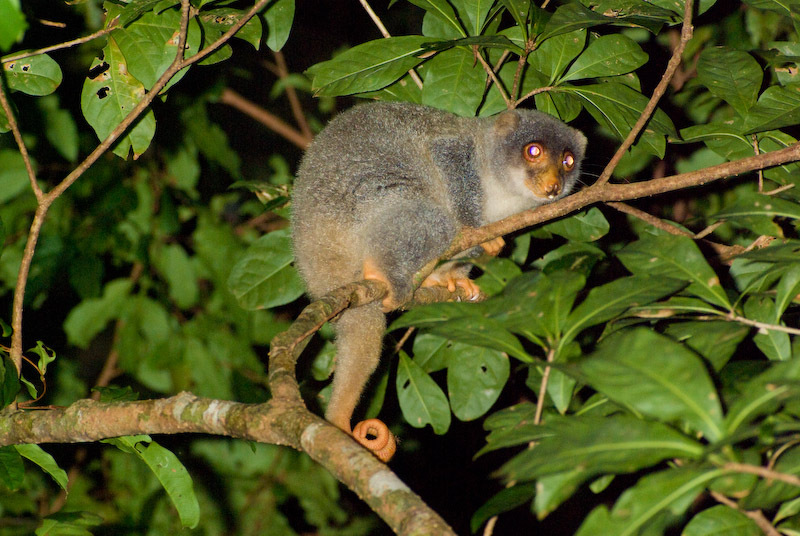 Spotlighting that night I saw two individuals of the Spotted Cuscus - one of two cuscus species in the park. Check out the amazing tail! 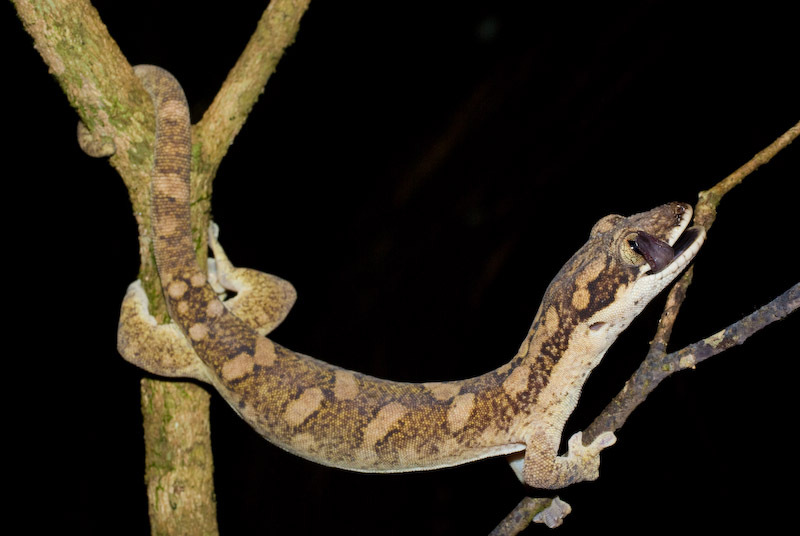 I also caught a bit of eyeshine from a tree in a section of wet-sclerophyll forest which turned out to be yet another endemic - the Giant Tree Gecko (Pseudothecadactylus australis), a remarkable large gecko with adhesive pads on its tail.